Showing results by publisher "PDQ AudioWorks"
The story you are about to hear is true... This famous line opened each weekly episode of one of the most popular radio dramas of all time: Dragnet. 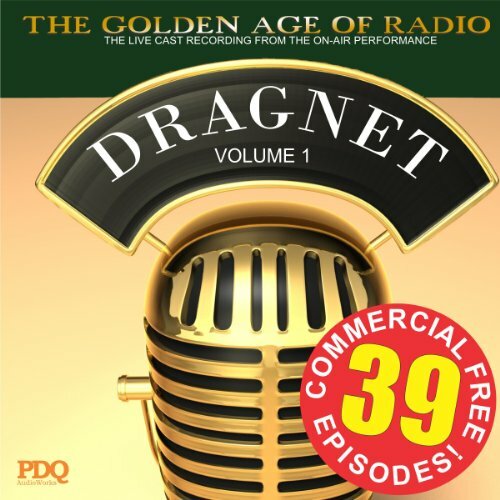 In this exclusive commercial free 39-episode collection from 1949-1950, join Sergeant Joe Friday and his partners as they follow a system of coordinated measures (the dragnet) for apprehending criminals or suspects. As always, each episode ends with the results of the trial after the criminals are apprehended. 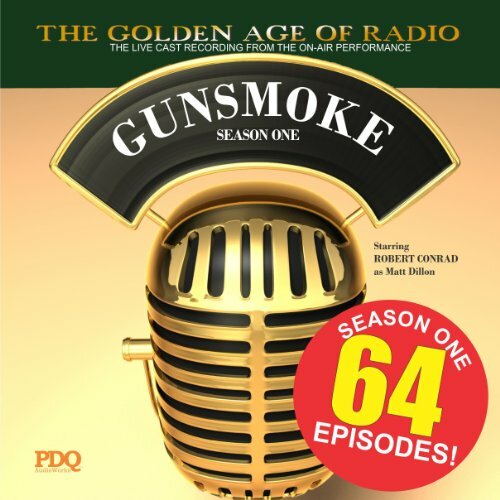 Everyone's favorite western, Gunsmoke debuted on June 26, 1952 on the CBS radio airwaves on starring William Conrad as Matt Dillon, and ran until June 18, 1961, making it the longest running dramatic series in radio history. This amazing audio collection contains 52 episodes from the second radio season, and are the live cast recordings from the original on-air performances. Digitally remastered. Everyone's favorite western, Gunsmoke, debuted June 26, 1952 on the CBS radio airwaves on starring William Conrad as Matt Dillon, and ran until June 18, 1961 making it the longest running dramatic series in radio history. This amazing audio collection contains 53 episodes from the second radio season, and are the live cast recordings from the original on-air performances. Digitally remastered. Everyone's favorite western, Gunsmoke, debuted on June 26, 1952, on the CBS radio airwaves, starring William Conrad as Matt Dillon. 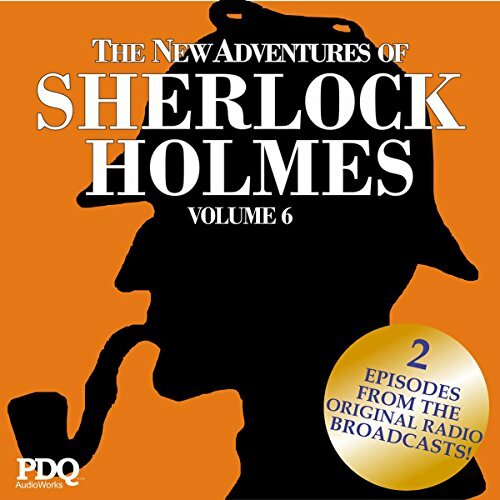 It ran until June 18, 1961, making it the longest running dramatic series in radio history. This amazing audio collection contains episodes from the third radio season, and are the live cast recordings from the original on-air performances. This is a collection of the only known episodes to exist from its run on both NBC and CBS radio. Originally called The New Adventures of Philip Marlowe, the private eye series, based on the character and books created by Raymond Chandler, made its debut on the NBC radio network on June 17, 1947, with Van Heflin in the role of Marlowe. The first episode adapted Chandler's short story "Red Wind." Everyone's favorite western, Gunsmoke, debuted June 26, 1952 on the CBS radio airwaves on starring William Conrad as Matt Dillon, and ran until June 18, 1961, making it the longest running dramatic series in radio history. This amazing audio collection contains 42 episodes from the fifth radio season, and are the live cast recordings from the original on-air performances. Digitally remastered. Twelve of the best episodes from the original broadcasts of the Mercury Theater, featuring Orson Welles. Includes the original broadcast of War of the Worlds. 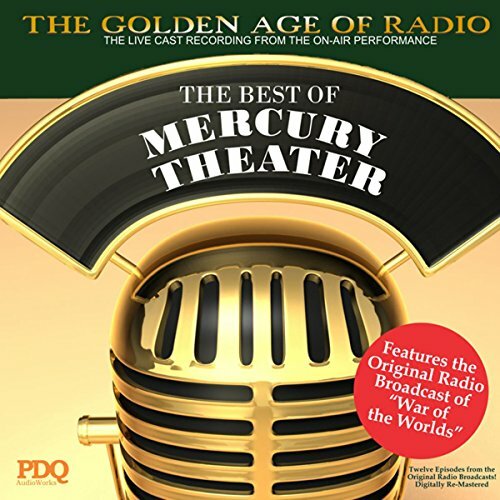 Digitally re-mastered from the recordings of live, on -air performances by Orson Welles and the cast of the Mercury Theater. Everyone's favorite western, Gunsmoke, debuted June 26, 1952, on the CBS radio airwaves, starring William Conrad as Matt Dillon, and ran until June 18, 1961, making it the longest running dramatic series in radio history. 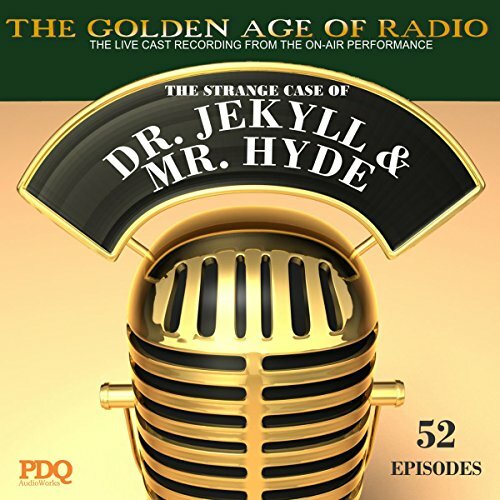 This amazing audio collection contains 40 episodes from the sixth radio season, and are the live cast recordings from the original on-air performances. Everyone's favorite western, Gunsmoke, debuted June 26, 1952, on the CBS radio airwaves starring William Conrad as Matt Dillon, and ran until June 18, 1961, making it the longest running dramatic series in radio history. While the radio show was still on the air, the television version of Gunsmoke debuted on CBS Television, starring James Arness as Matt Dillon, and ran for 20 years, making it the longest running dramatic television show in history. Everyone's favorite western, Gunsmoke, debuted June 26, 1952 on the CBS radio airwaves on starring William Conrad as Matt Dillon, and ran until June 18, 1961 making it the longest running dramatic series in radio history. While the radio show was still on the air, the television version of Gunsmoke debuted on CBS Television, starring James Arness as Matt Dillon, and ran for 20 years, making it the longest running dramatic television show in history. This amazing audio collection contains 36 episodes from the eighth radio season, and are the live cast recordings from the original on-air performances. Digitally remastered. Fifty-two episodes of this famous radio serial, digitally remastered from the original broadcast recordings. Starring George Edwards in the dual roles of Dr. Jekyll and Mr. Hyde. Although Robert Lewis Stevenson's novella, first published in 1886 as Strange Case of Dr Jekyll and Mr Hyde, (omitting the word the) has been reincarnated in 123 film versions, not including stage plays, his compelling story of the forces of good vs. evil are best known from the 15-minute radio shows that ran on the Australian Broadcasting Company for 52 episodes from September 9, 1943 to February 16, 1944. Jekyl and Hyde like you never heard before!! 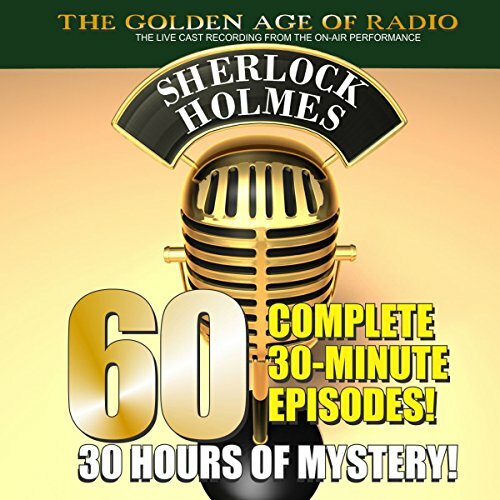 Straight from the airwaves of the '30s and '40s come these digitally re-mastered recordings from the live radio broadcasts featuring the original cast (including performances by Basil Rathbone as Sherlock) as they performed episodes starring the world's most famous sleuth: Sherlock Holmes. 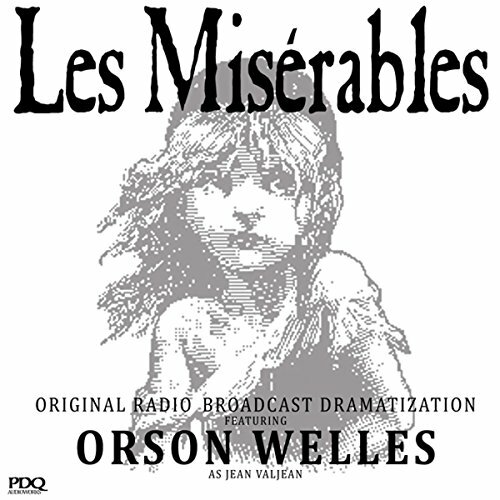 Les Misérables: The Radio Broadcast was a seven-part radio series broadcast July 23 - September 3, 1937, on the Mutual Network. Orson Welles adapted Victor Hugo's novel, directed the series, and starred as Jean Valjean. The 22-year-old Welles developed the idea of telling stories with first-person narration on the series, which was his first job as a writer-director for radio. Les Misérables was one of Welles's earliest and finest achievements on radio, and marked the radio debut of the Mercury Theatre.